The Unicorn Craze continues. We love this 2-tiered version with its buttercream swirls and beautiful personalised plaque. 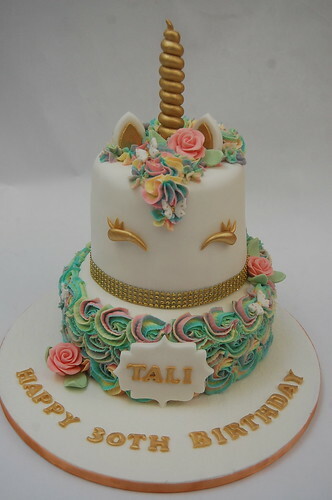 The Two-tiered Iconic Unicorn Cake – from £100.